The last two weeks have been busy working on Fall projects for a quickly approaching craft show, keeping my booth at the antique mall stocked and tidy and working on custom barb wire wreaths for a wedding in Colorado. 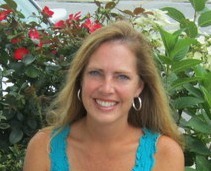 I have fit in some time to do a couple thrift store makeovers too. Here are two of them. I know, another bread box. It seems I run across these often and they always sell quickly, so why not. The first project is the marriage of an old wood candle holder and a cheese cloche. They are glued and screwed together and painted black. a new back and a new piece of glass in the door. In the past I have replaced the glass with a piece of thin wood and painted the word BREAD on it, but this time I decided to use glass and etch the word BREAD into it. as directed on the bottle to complete the etching. This is my 2nd time using this product. The first time was on a mirror. You can see how the mirror turned out here. which works out great, being that most bread boxes are kept in a kitchen. I reused the plastic corners that were holding in the original piece of glass. By the way, I got the new piece of glass, cut to size, at Lowes for $2.43. I did not know they cut small pieces of glass there, but now I do. I also purchased two new black hinges while I was there. I replaced the backing with a new piece of thin wood painted black. Then I put the bread box back together. that I've completed here and here. 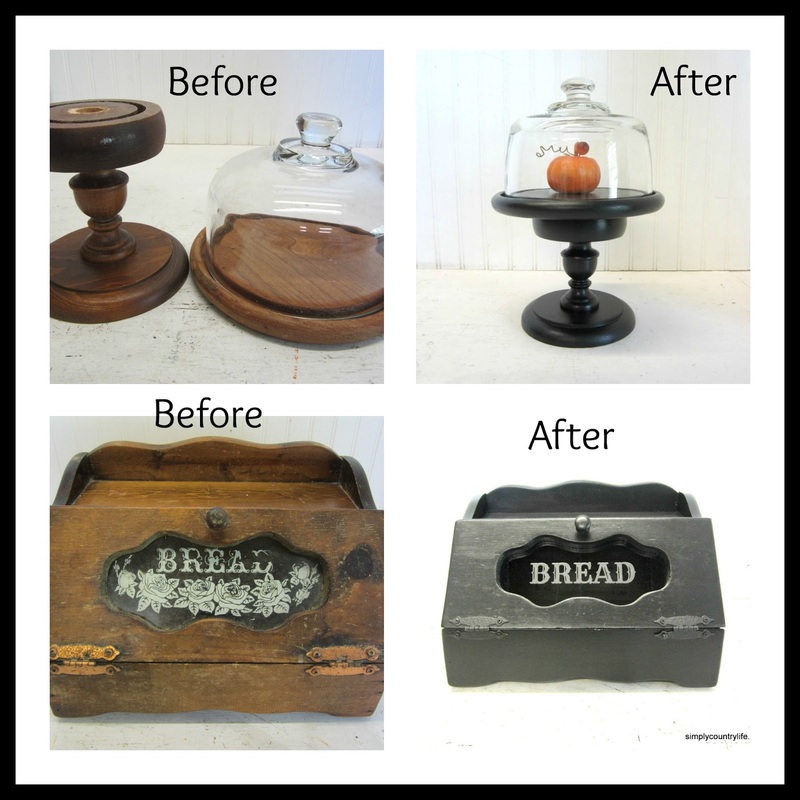 Have you completed any thrift store makeovers lately? I'd love to hear about what you did. I love what you did with the cheese server. I have yet to find one on a pedestal, but if I ever do, I'll paint it black. It looks so elegant. Thank you Ginene. I normally find a cheese cloche and an old wood candle holder and attach them together with glue and a screw to create the pedestal. Have a great day! Thank you Sherri! I hope you weekend was blessed as well! 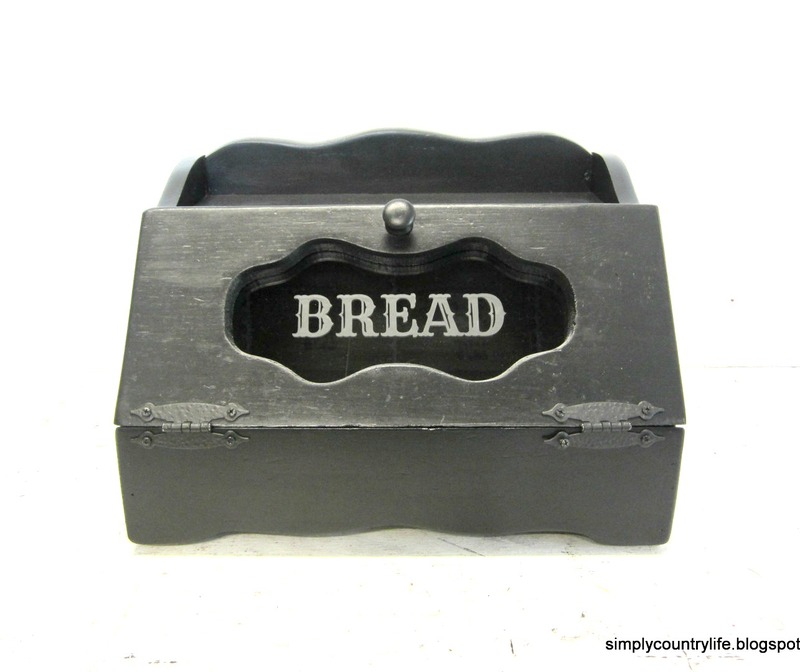 I am new to all this, but have a beautiful bread box that I'm trying to re-do and all I need is the BREAD stencil. I really like yours the best and goes with the period of the bread box I have. The one big problem is I do not have a silhouette cameo... Can you help me out? Thank you!